Super Late Model drivers will compete for a minimum of $100,000 to win and $2,000 to start in the inaugural Dirt Million at the 4/10-mile oval, but the purse has continue to increased throughout the 2018 calendar year via a unique format and promotion that allows dirt racing families, friends, sponsors, fans and teams everywhere in the world to play a role in building the feature’s payoff. The total purse for the event has climbed to $370,290 as of August 20. Under a unique format, the Dirt Million is part of the 2018 Lucas Oil Late Model Dirt Series schedule. The Dirt Million is latest addition to Sommer’s growing promotional resume, which also includes the VP Racing Fuels Gateway Dirt Nationals held at the Dome at America’s Center in downtown St Louis, Mo., and the $100,000-to-win Sprint Car World Championship this past April. 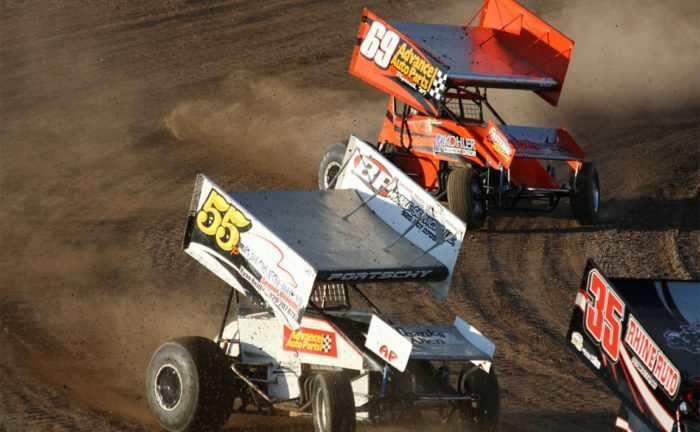 Last year, Sommer spearheaded the transformation of Mansfield Motor Speedway from an asphalt track that hosted crowds of over 20,000 fans for NASCAR Truck Series races to a world-class dirt facility. “We live in a world today where individual people are more social, expressive and impactful than ever before,” track promoter Cody Sommer said. “This event is catered to that fact and it will be very rewarding to watch the sport rally together, unified with one common goal. The DirtMillion.com website is the hub to watch the event’s purse grow in real time and include the registered driver profile pages, purchase tickets, and view many other unique features. Dirt Million event management is encouraging all fans and teams to follow their social pages on Twitter @DirtMillion and Facebook.com/DirtMillion.